The Christmas spirit is alive in the greater Wausau area! Peyton’s Promise advocates, local businesses and volunteers have been busy stocking the shelves of local food pantries. 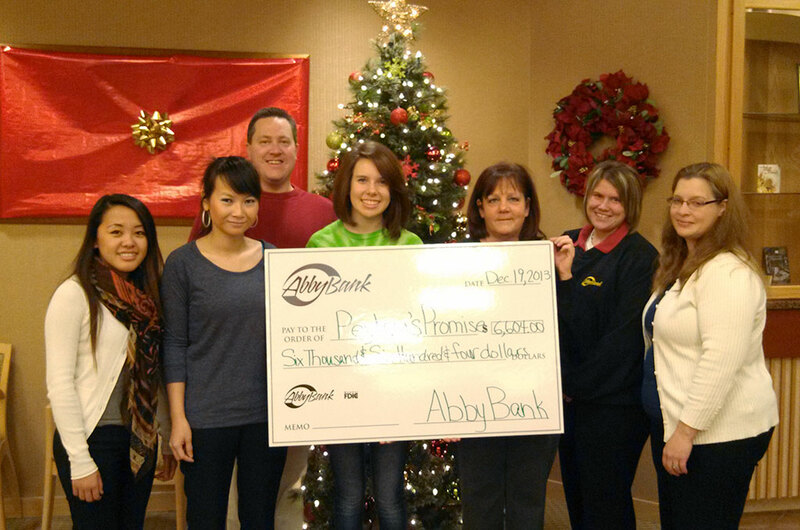 For November and December, AbbyBank pledged to match a total of $2,000 in donations to Peyton’s Promise. On December 27th AbbyBank presented a check with a grand total of over $6,604 for the total money raised with the AbbyBank challenge along with the Elves Stocking the Shelves event. This program provided holiday meals to over 16 local food pantries and backpack programs. “I can not believe how one food drive can grow into such an AMAZING organization working together to keep our pantry shelves FULL!!! Thank you all for Making the World a Better Place!,” states Peyton Medick from Peyton’s Promise.